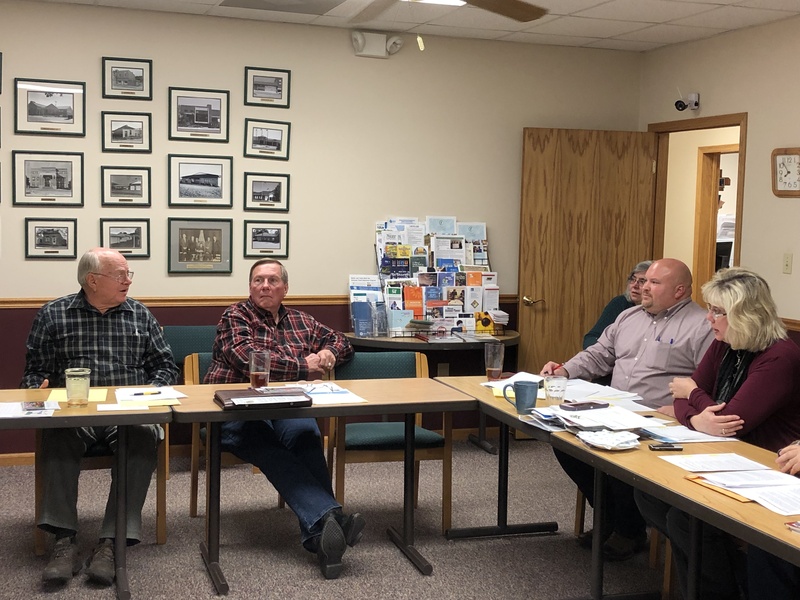 ST. JAMES—Bennie Cook with Rep. Jason Smith’s office met with the Meramec Regional Planning Commission (MRPC) board to discuss federal legislative priorities as set forth by the MRPC board at its Jan. 10 meeting. Conversation touched on many topics, including the government shut down, rural broadband access and the upcoming Fairness for Every Driver Bill. MRPC board members reminded Cook about the potential of Fort Leonard Wood as an economic hub and for expanded military missions. The board also shared its federal priorities with Cook The priorities are voted on by the board and were given final approval during the meeting. The list will be presented to federal legislators by MRPC Chairman Larry Miskel, Executive Director Bonnie Prigge and Assistant Director/Environmental Programs Manager Tammy Snodgrass during a trip to Washington D.C. in March. The trip coincides with the National Association of Development Organizations (NADO) national policy conference. In local government: Eliminate unfunded federal mandates to states such as federal elections and wastewater/storm water regulations or provide funding options/opportunities to state and/or local governments to fund them; continue mandatory funding for Payment of Lieu of Taxes (PILT) program and Secure Rural Schools Act and make these funds more flexible; and preserve the current tax exemption for municipal bonds. Heard final details on MPC’s 50th Anniversary celebration from 1-4 on Jan. 23. The next MRPC board meeting will be held on Feb. 21, one week later than the regular meeting.